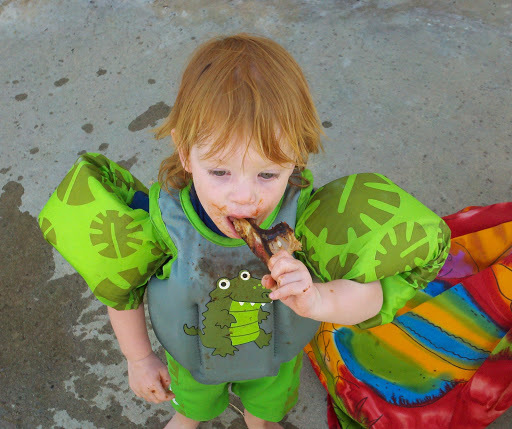 Here is a few pictures of Sam at our last swim and BBQ in the backyard. 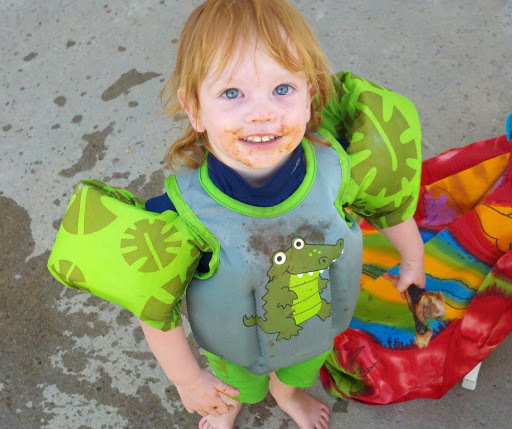 He loves his gator floaties and is pretty fearless. He likes to go down the slide all by himself with Mommy waiting to catch him. Still with skin like that I feel I need to invest in a 50 gallon barrel of sunscreen at Costco. MMMM Ribs and BBQ Sauce.